Most of the French restaurants have an expensive version and a simpler, more economical version, like Petit Salut. You have the full-fledged Au Petit Salut that featured a full menu with a more straight-lipped, classy ambiance to match. These are usually not very kids-friendly, especially if you have a toddler. But that does not mean your little princess cannot enjoy gourmet food. So you have Chez Petit Salut (used to be known as Bistro Petit Salut). Unlike the more expensive cousin, Chez only offered freshly baked mini baguettes. Not senior friendly as the crust was quite tough. So they had to take the soft chewy inside and left a lot of crumbs on the table. Traditional French onion soup, gratinated with Comté cheese ($16++) – the word traditional meant that you have that toast floating on the soup with melted cheese all over the place in a messy goodness. The soup was quite saltish, and without the sweetness of the onions. 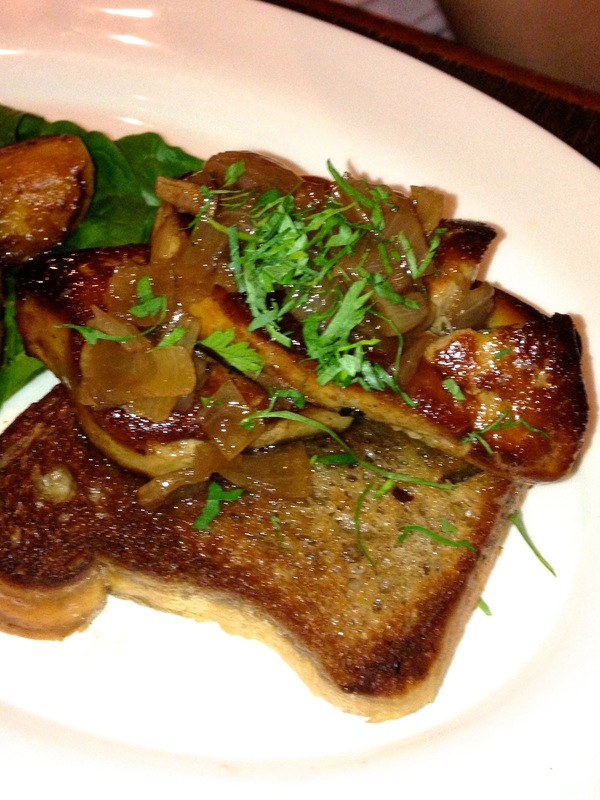 Pan seared foie gras, caramelized apple and brioche, duck jus vinaigrette ($28++) – quite standard. But the girls loved it so much, we had 2 orders. 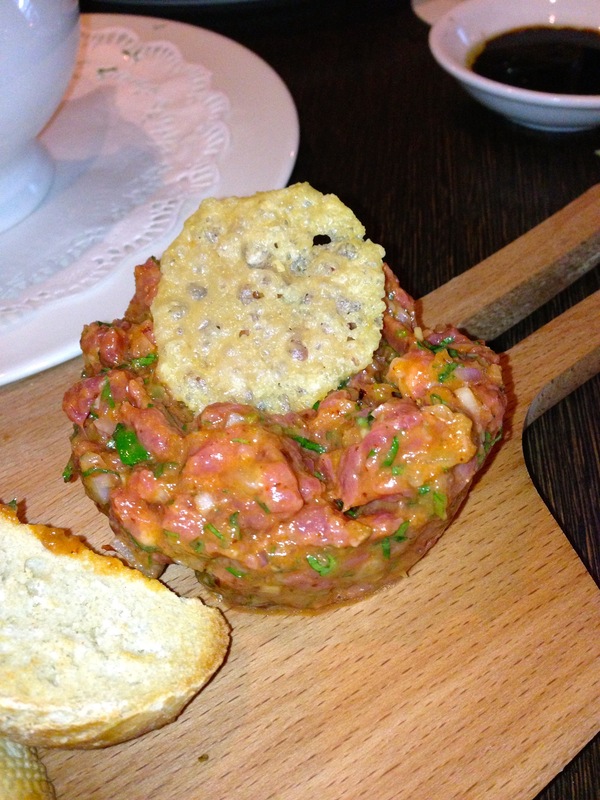 Beef tenderloin tartare with toast and mesclun ($22++) – my personal favourites among the starters. I have no confidence to do my own tartare at home so I usually order this when I think I can play Russian roulette with salmonella there. This had chancy bits of good tenderloin without too much capers, egg wash or olive oil. And just salted with sea salt, you get that bits of salt that I though was quite pleasant (Some preferred without it). 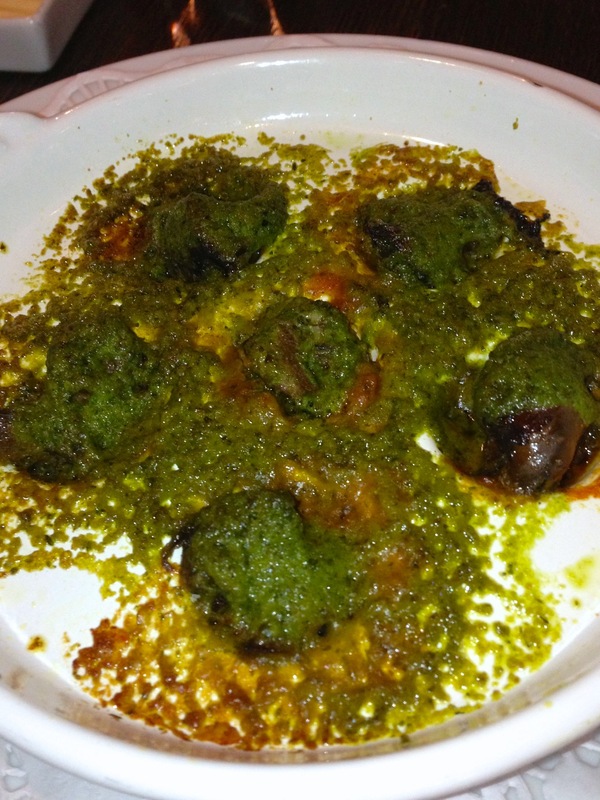 Special of the day – Oven-baked Escargot with herbs butter. 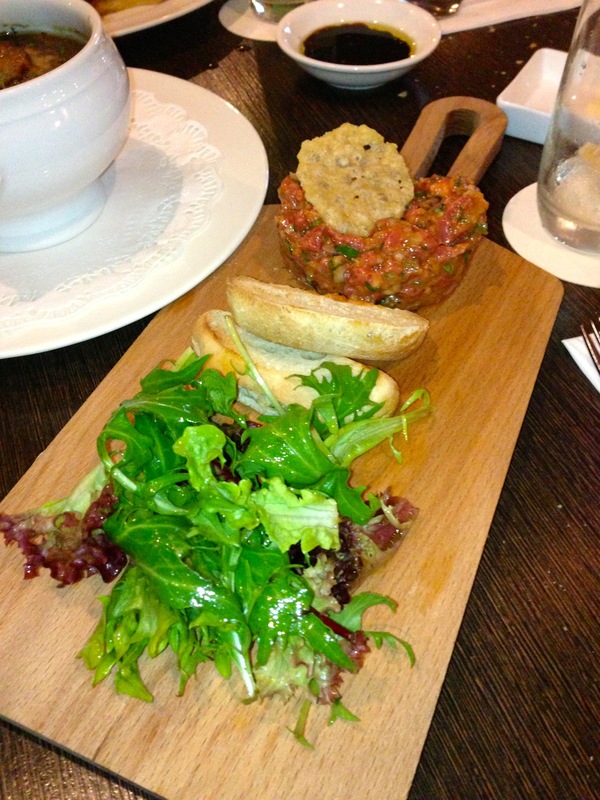 ($16++) – Old school French starters. 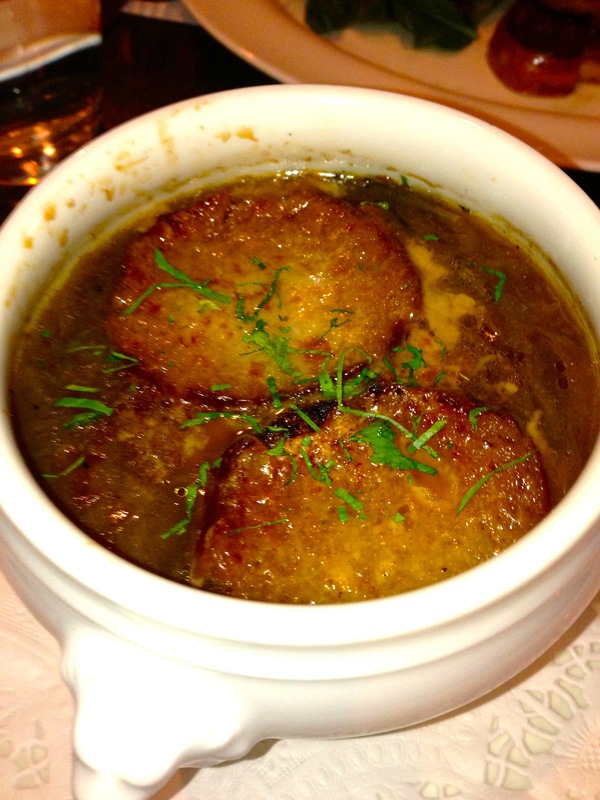 As far was memory can get, escargot to me was the quintessential French fare (together with Onion Soup). After years of escargot at Jack’s or the Ship, you finally went to Paris and realised that the French had not eaten these molluscs quite as much. 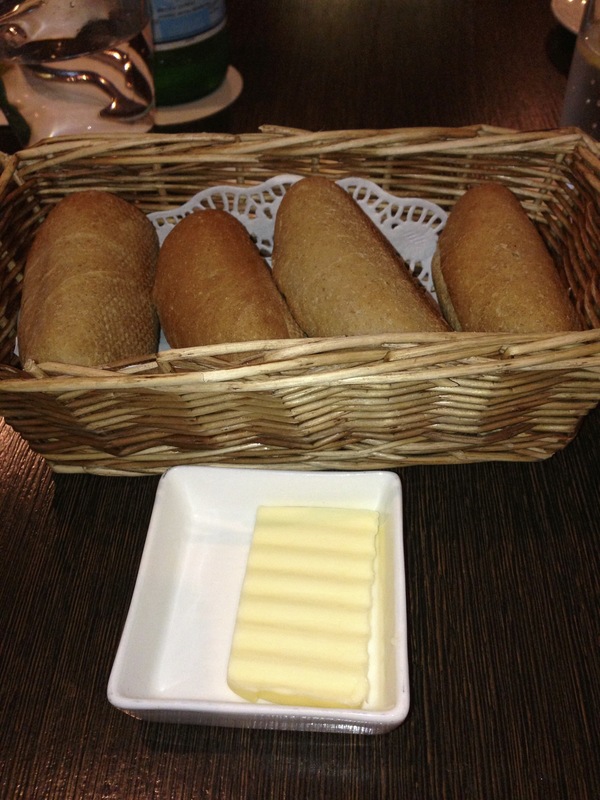 But I still liked to order it with my bread, because I liked the heated garlic in olive oil. 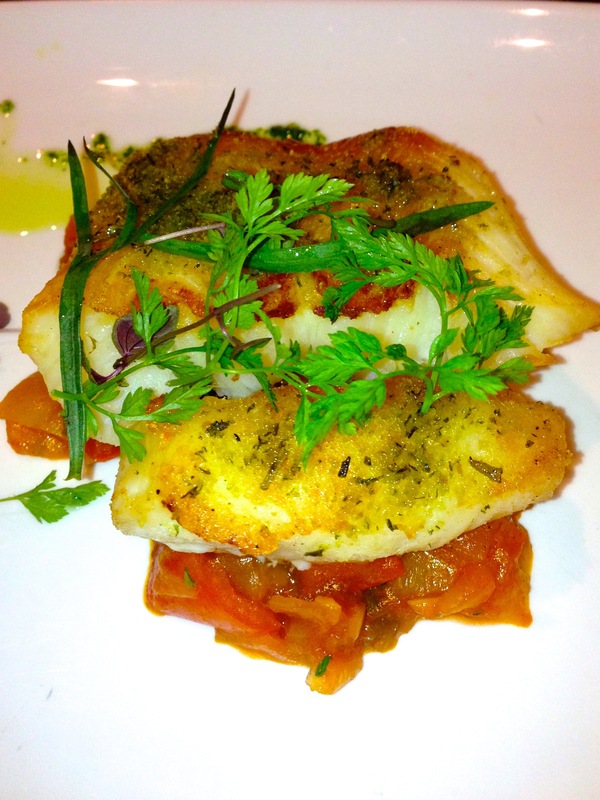 Oven baked fillet of black cod with “Ratatouille” ($32++) – Vegetable stew with 2 slices of pan-fried cod fish. The fish was quite dry. And the Ratatouille was too mushy. Enough said. 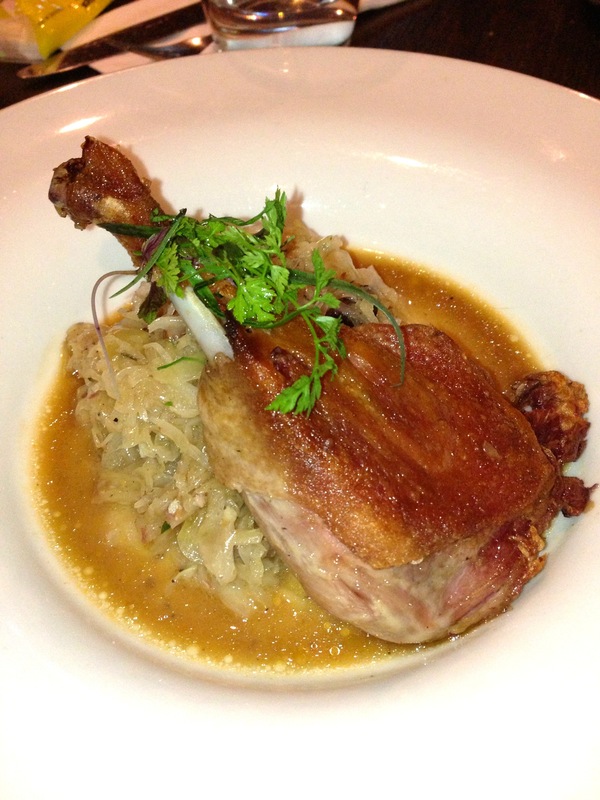 Crispy duck leg confit, Saueurkraut and bacon ($32++) – This was the best main course that evening. The duck leg was well-fried. 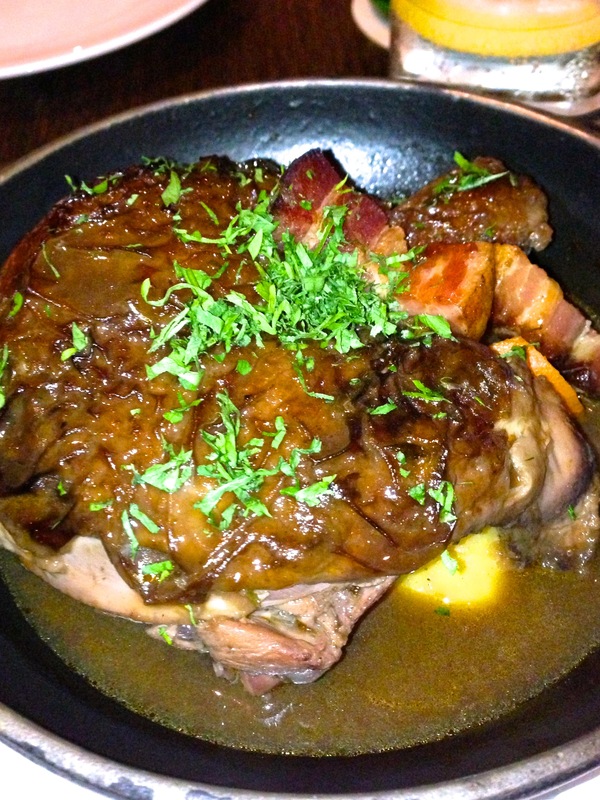 And served with sauerkraut, the fatty leg was very well balanced with the tartness of the cabbage. Yummy. “Coq Au Vin” Chicken leg braised in red wine, bacon, mushrooms and root vegetables ($32++) – Another French classic, like the Chinese version that we served during confinement, the chicken was cooked in lots of wine and braised with all the vegetable. Well, the one we had was not braised long enough. 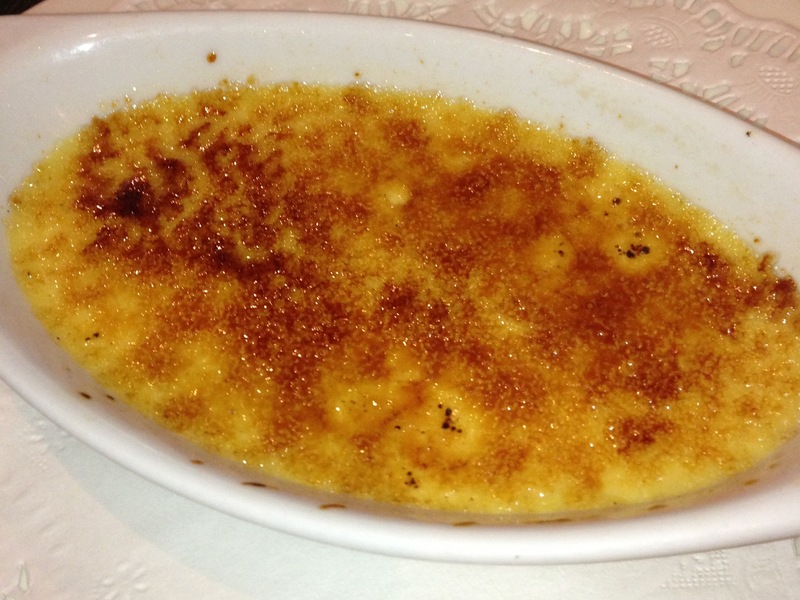 Classical Crème Brulée ($12++) – ok lah. “Tarte au Chocolat” Warm melted 70% chocolate cake, vanilla ice cream ($14++) – ok.
Choux buns filled with vanilla ice cream, warm chocolate sauce and sliced almonds ($12++) – this was good! 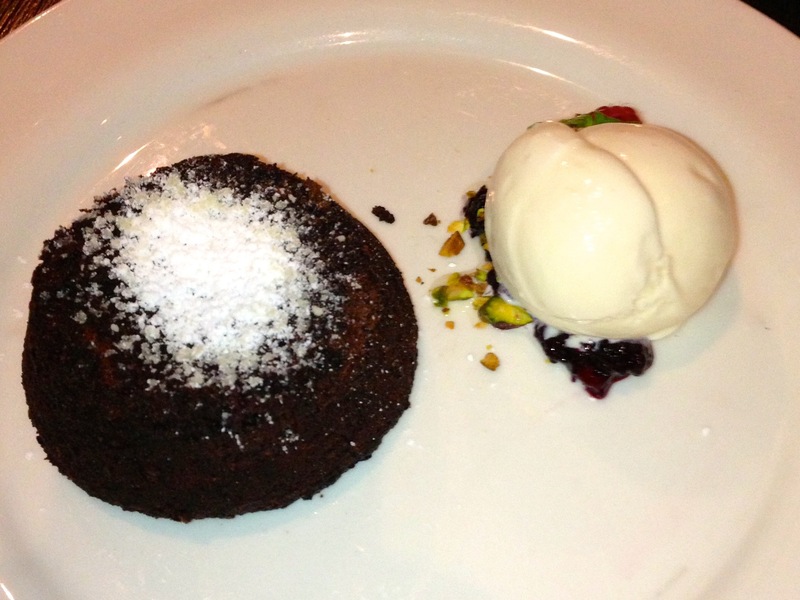 Nice portion to share, and the slightly heated buns with ice cream were quite a nice combination in the mouth. Service was ok. Ambiance was more relaxed and family-oriented. Average $80 pax for 3 courses excluding drinks. Set lunches and dinners available.